At Synergy Steel Structures, we are passionate about steel. Our Architectural Steel staff is dedicated to creating, designing and assembling steel as a design element. From Sculptures and Entrances to High-End interior Man-caves and Basements, Synergy transforms steel into something more than support. It transforms Iron into Imagination! We collaborate with each client to style works of steel that reflect their design vision. Through the use of different shapes and finishes, a truly custom look is achieved. Sculptures can be produced as show pieces for exteriors or interiors. 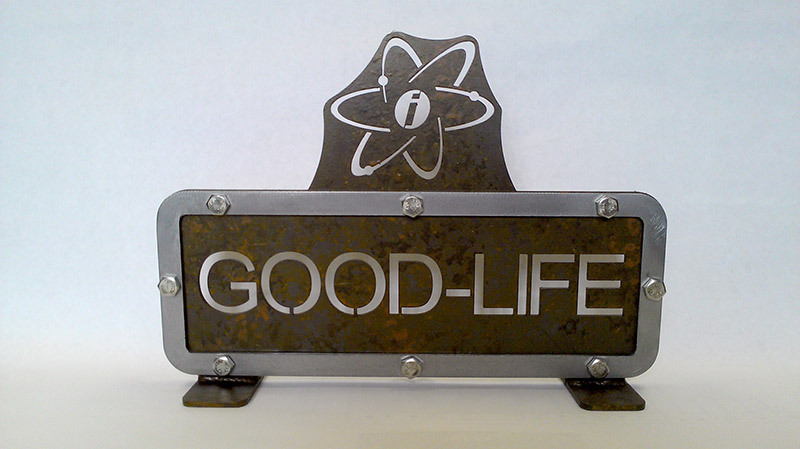 Signage is a practical and effective way to promote a business while portraying an industrial feel. Entire interior and exterior spaces can be transformed using decorative columns and beams, creating a lasting unique impression.